Games are an integral part of cultural development in our society. From gladiator fights back in ancient Rome and Fighting Fish in the dank streets of Southeast Asia, these intense bouts always garner the attention of their nobility. From the Roman colosseums to the streets of Bangkok, each have influenced millions in the glory and spectacle of battle. In the case of iCandy Interactive’s latest effort, it hopes to combine the concept of glorious battle and pet collection with a crabby twist. The game — CryptantCrab (https://www.cryptantcrab.io/) — runs on the Ethereum blockchain and is integrated with a Web-based interface for easy accessibility to everyone. The name is telling enough that it’s a new entrant into the crypto games space. CryptantCrab is a direct spin-off from the award-winning mobile-based Crab War. Unlike its predecessor, a mobile game that Appxplore developed, this crypto game focuses on a more unique gameplay format that revolves around improving your Crab through battle and mutations . Akin to the traditional hobby of raising Fighting Fish, these crabs will sport special markings and distinctively vibrant parts, all combined to form a uniquely remarkable look that is exclusively theirs. Even the fighting element, a close tie-in with the Fighting Fish hobby, is the focus of what goes into this crypto game. As the crabs are all unique, it is critical that their exclusivity is kept secure. This is where blockchain comes into play. As CryptantCrab runs on Ethereum, each will be tagged with a digital token that allows these crabs to obtain solid market and trading values. These are the critical driving factors that encouraged this game to run on a digital ledger. Having tokenized assets will allow CryptantCrab to leverage on the benefits of the blockchain. While there are plenty of advantages to consider, iCandy Interactive is mainly concerned with three. First, the battling feature. This is the only way crabs can improve their stats and one of the primary sources that enable them to mutate and earn experience gains. While fights are not compulsory, each match improves the potential of a crab and, in turn, its strength. Winning streaks and general market forces influence the value of these crabs; this aspect will reflect its suggested sales component. Also, the battle feature for CryptantCrab is critical as it provides immediate accessibility for all players to get into casual esports. Second, the blockchain is an encrypted list of records that use and stores cryptographic hash and timestamps. Essentially, this is to prevent data modification. With CryptantCrab, as the virtual crabs are tokenized, cheats will not able to alter the data in their attempt to gain any added advantages in fights. Likewise, even iCandy Interactive will have no means to change the stats of the crabs. In many ways, this is data protection related, something most video games are still struggling to address. Third, and most importantly, is to reinforce the fact that each virtual crab is under direct ownership of the player. The way each crab mutates, which has that opportunity to form legendary parts, and the level of experience earned during fights will become a permanent part of that crab. These personalizations are truly unique to each player. As users wholly own the virtual crabs, they can be used in other gameplay modes that CryptantCrab will introduce later. Being tokenized, crabs will also gain multipurpose uses later on and can be sold outright. As crypto gaming is still in its infancy, CryptantCrab wants to introduce enhanced gameplay elements into this sector. As the spiritual successor to Crab War, it has credible heritage to fall back on. Also, both iCandy and Appxplore have extensive experiences as crypto-currency innovator and game developer respectively. Their know-how and in-depth knowledge in these industries will ensure CryptantCrab will become a platform that goes beyond crypto gaming. As the team works towards launch day, there will be a pre-sales event kicking off soon. Limited-time offers and unique crab designs will be up for grabs during this period. Those keen on playing CryptantCrab and want regular updates about the game can pre-register on the game’s webportal (https://www.cryptantcrab.io/)or follow the Facebook page (https://www.facebook.com/CryptantCrab/). As for the pre-sale, more information will be up in the coming weeks. CryptantCrab brings crypto games the next level with elemental affinities, legendary mutations and vibrant crustacean clashes. 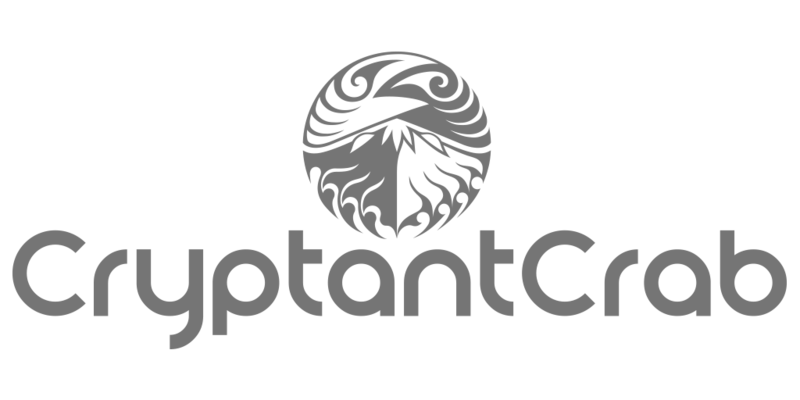 https://www.cryptantcrab.io/ .